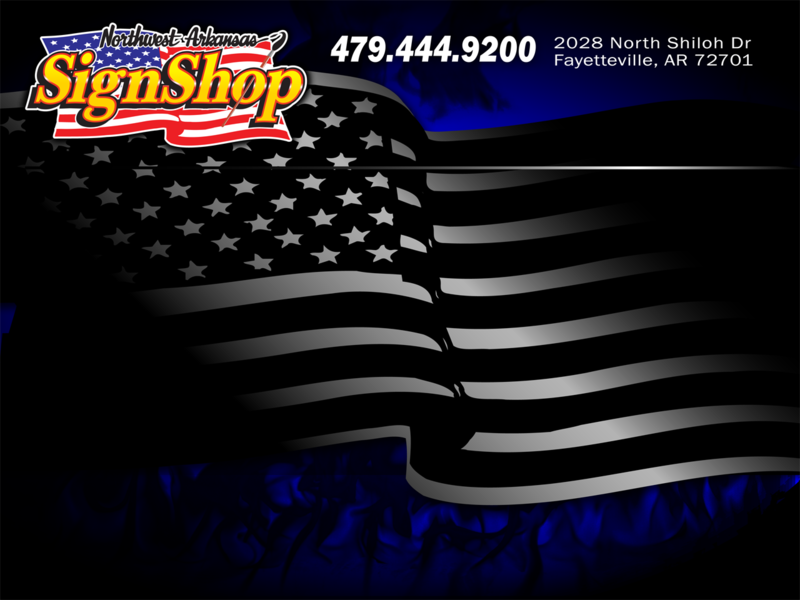 Northwest Arkansas Sign Shop proudly supports our nation's veterans. 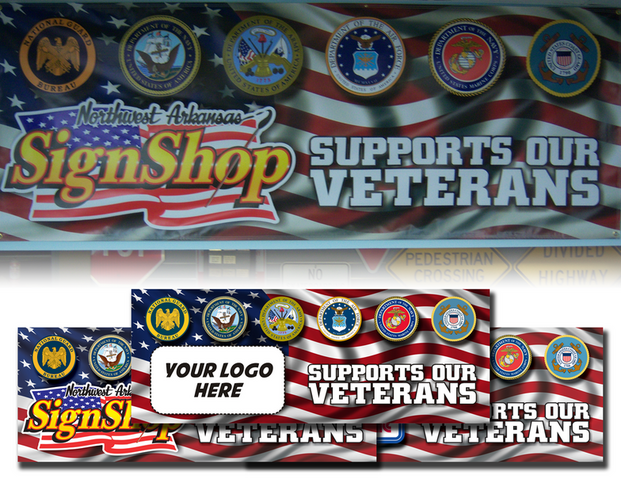 You can honor veterans as well with a custom Veterans Day banner. The Veterans Day banner is 3'x8', digitally printed, and features your company logo to show your support for our veterans. Visit our online store below to order your very own custom Veterans Day sign. Click to Purchase your Veterans Day Banner Today!! !